In loving memory of Leonard Nimoy who passed away earlier this year, it may be, ahem, logical to revisit old episodes of ‘Star Trek’ or brush up on your Klingon skills. tlhIngan Hol vIjatlhbe’ you say? Thankfully, Duolingo‘s here to help. 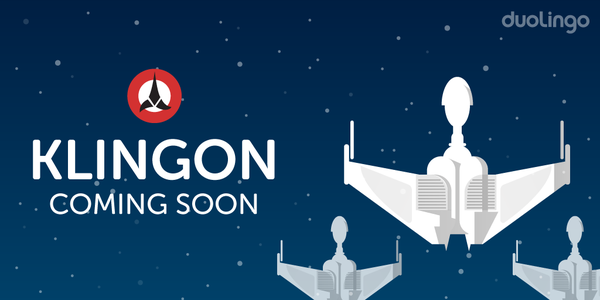 The app known for gamifying the language-learning process has announced that it will now help users learn how to speak Klingon thanks to its Language Incubator program. The incubator crowdsources volunteers to help build support for new languages. Upcoming courses include Spanish for German speakers, English for Thai speakers, French for Chinese speakers, and so on. There are rumors of support for Dothraki and Elvish as well. While the Klingon course is not currently live, Duolingo is searching for Trekkies who are willing to help contribute. Those interested in learning can sign up to be notified when the class officially launches. We’ve already highlighted the benefits of learning a second language: better job opportunities, improved memory, eliminate bias – the advantages go on. Although we can’t definitively say Klingon will get you a gig at Google, you might just impress quite a particular group of people.